The Cato Institute has conducted a new poll of Americans’ attitudes toward federalism. 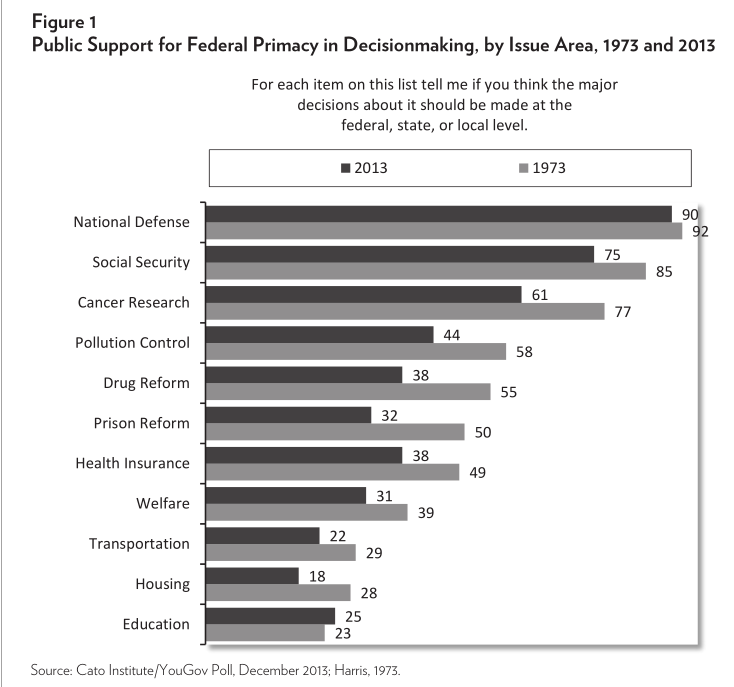 Apparently Americans have become much more favorable to federalism and decentralization over the past 40 years. A majority of Americans still want primarily federal decision-making over national defense, Social Security, and cancer research. Two of those three seem to make a great deal of sense: cancer research is a global collective good, and national defense, by definition, is a national collective good. “Prison reform” and “drug reform” are the two issues on which Americans’ attitudes have moved most significantly toward decentralization. A large majority of Americans now think housing, transportation, education, welfare, prison reform, health insurance, and drug reform, in that order, should be primarily state and local issues. Only on education have Americans become more centralist, and that change is so small as to lie within the margin of error. Another compilation of surveys suggests that a majority of Americans also want primarily federal decision-making over immigration, stem-cell research legality, protecting the border, protecting civil rights, protecting civil liberties, abortion laws, creationism in public schools, and food safety, in descending order. Most Americans also think paving roads, providing job training, law enforcement, running courts, providing pre-K to low-income children, unemployment, gay marriage, and gun control should be primarily state and local issues. These results are consistent with those of other surveys, which have tested Americans’ views on particular issues. A 2012 CBS News poll found that 69% of Americans preferred that the states handle marijuana policy, while only 27% preferred that the federal government handle it. What’s interesting is that on all these issues on which the study reports a partisan breakdown, even drug laws, Democrats are more in favor of federal control than are Republicans. Decentralization has emerged as a very starkly partisan wedge issue. 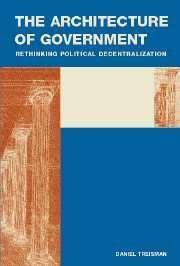 I recently read Daniel Treisman’s brilliant book, The Architecture of Government: Rethinking Political Decentralization. 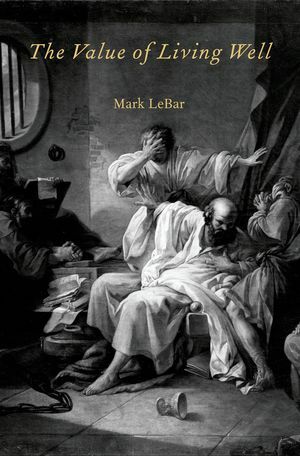 This book is particularly important for classical liberals who defend decentralization as an important institutional reform for promoting and protecting individual freedom. Treisman’s thesis is essentially that decentralization is overrated. He doesn’t argue that decentralization generally has bad consequences, even under readily identifiable circumstances, but that the consequences of decentralization are so unpredictable and case-specific that few generalizations, even highly conditional ones, can be made about them. 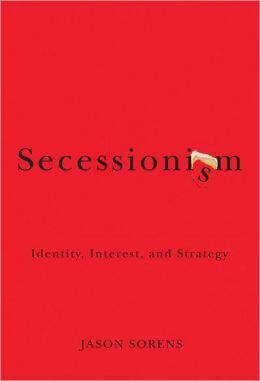 The book is largely theoretical, and Treisman takes on standard justifications of decentralization like Tiebout sorting, the role of mobile capital in keeping government small, and keeping government “close to the people.” While Treisman’s counterarguments to decentralization’s defenders are well thought out and in many cases persuasive, I remain more optimistic about our ability to make valid generalizations about decentralization. Still, any defender of “competitive federalism” or more local governance will need to grapple with Treisman’s challenges. I’ll take some of the most important of these challenges in turn. One common argument for decentralization comes from Charles Tiebout: competition among local governments providing public goods allows residents to reveal their true preferences for these goods and incentivizes local governments to act on those preferences. Treisman argues that key assumptions of the model are so thoroughly violated in reality that the predictions of the model are not likely to hold true in the real world. 1. I’m not a big fan of CNN but it occasionally produces an interesting piece. This one on a surrogate who rescued a baby with birth defects from the natural parents (or so she thought!) who wanted the baby aborted is a must-read and raises a lot of interesting questions about law and ethics. It also highlights how states are still relevant actors in our lives despite the encroachments of the federal government (and see #3 below). 2. One of the great benefits of government spending cuts (including the sequester) is that politicians and bureaucrats have to think more seriously about trade-offs. Of course, the sequester cuts are absolutely tiny – as Nick Gillespie at Reason nicely points out – and thus don’t pinch those folks enough. But this piece at the USNI site notes one potential benefit – the Navy may have to reduce its efforts in support of the drug war. Of course, the article makes it sound like the possible shift is a bad one but this is yet another war the US won’t be winning. It is dangerous to permit the State to engage in monopolistic activity. To tolerate a government-sanctioned monopoly by any entity, including the State itself, is “contrary to the genius of a free state”, according to the common sense of our Constitution. If the State is given wide discretion to monopolize spirituous liquor sales on the justification that it is doing so to protect public health and safety, there is little constitutional barrier to the monopolization of other products and services. Should State Parties Change Their Names? In Canada, provincial parties are totally organizationally independent of federal parties and may not even have the same names. Thus, the British Columbia Liberal Party has generally been right-of-center, and British Columbia Liberals tend to vote Conservative at the federal level. Quebec Liberals have generally been more Quebec-nationalist/decentralist than the federal Liberals. Most provinces have parties named “Progressive Conservative,” even though there is no longer any federal Progressive Conservative Party. And so on. State legislative elections are not referendums on state legislators’ own performance but are instead dominated by national politics. Presidential evaluations and the national economy matter much more for state legislators’ elections than state-level economic conditions, state policy outcomes, or voters’ assessments of the legislature. Previous analyses of state legislative elections fail to consider which party controls the state legislature and whether voters know this information. When accounting for these factors, I discover that even when the legislature performs well, misinformed voters mistakenly reward the minority party. Thus, while state legislatures wield considerable policy-making power, elections are ineffective in holding state legislative parties accountable for their own performance and lawmaking. Tyler Cowen calls this “the problem with federalism.” But it isn’t a problem with federalism as such. It’s a problem with U.S. federalism. In Canada, you can’t send a message to the federal government by voting against the incumbent federal party at the provincial level. (In fact, provincial elections are not held on the same days as federal elections.) Changing the perverse accountability dynamic of U.S. state legislatures may require something as simple as changing the names of state parties. State parties may even have an incentive to do this. For instance, the Republican Party in New Hampshire could change its name to something like “New Hampshire Conservative Party” or “New Hampshire Party.” By doing so, it could help to insulate itself from the partisan swings at the national level that are beyond its control. Although I am open to having state governments require more health coverage, I fear a federal government with too much power to control individual behavior. The track record of federal interventions in managing markets suggests a strong case for limiting that power. The question of bestowing appropriate power on the federal government depends not on the health-care issue alone, but on whether you think — on the whole — that the U.S. government does good things when it heavily regulates behavior. The 1942 case that is often cited as a precedent for health care, Wickard v. Filburn, provides the perfect example of why I fear this control…. There are many reasons to leave control over markets, such as health care, to state governments. States have tougher budget constraints, which discipline spending. States can adapt to local tastes, so Massachusetts can have more intervention than Texas. If people don’t like a state’s rules, they can always move elsewhere. Local experiments provide the evidence that can lead to real progress. I’m not against all health-care mandates, but the history of federal overreach is worrisome, and I’d be happier if the Supreme Court decides that the law limits this ability to manage markets. I don’t agree with everything in the article, and it’s unclear whether he favors a federal “tax penalty” on the uninsured to replace the “mandate,” or whether this is also something he prefers state governments do, but it’s refreshing to see a clear and sensible articulation for a more thoroughly federalist construction of the Constitution. Constitutional debates swirling around the PPACA’s individual mandate have much to do with federalism. The core issue the Supreme Court is addressing is whether the federal government has essentially unlimited authority in economic policy, or whether they are yet some areas of economic policy-making (such as whether to compel commerce) exclusive to the states. As someone who believes that constitutions ought to be read according to – I don’t know – what their actual words say, I think the entire act is obviously unconstitutional. Article I, section 8 of the U.S. Constitution permits Congress to legislate in order to “regulate commerce…among the several states.” Thus, Congress has the authority to regulate interstate commerce. Not “anything that might be related somehow to interstate commerce,” plus “anything necessary and proper to any of those things.” Of course, no one on the Supreme Court, except perhaps Clarence Thomas on issues like this one, shares my judicial philosophy. The primary regulatory authorities in the country are state and local governments. The economic role of the federal government is to ensure a common market: to prevent states from levying barriers to the free flow of goods, services, people, and capital, from tariffs to invidious regulations to local preferences in government procurement. The national court system protects basic human rights and civil liberties from infringement by federal, state, and local governments. State and local governments fund their activities almost exclusively out of their own resources. The federal government should not, in general, provide grants to state and local governments. State governments are politically autonomous, constitutionally sovereign, and independently elected. They may legislate freely within the bounds expressed above. State governments are permitted to form compacts to deal with externalities. For instance, states may choose to adopt uniform regulations on insurance so that companies can sell the same product in multiple states with a quicker approval process. Because states retain their sovereignty, they are free to enter and withdraw from such compacts at any time. OK – so what are the arguments against this kind of system? (I go over some of the arguments and evidence in favor here.) One common objection to “states’ rights” is that state governments may violate the civil rights of some of their citizens. I share this concern, one reason I don’t think the term “states’ rights” is appropriate for my position; nevertheless, the concern is addressed with point 3 above. Another objection might be that problems like pollution and endangered species can cross state boundaries. Given a sufficiently small number of states, however, I do not see why they cannot contract with each other to solve their commons problems. What else?